I create & label each packet for you, and enclose them in a gift-able organza bag with a satin ribbon drawstring. These Samplers make lovely "thinking of you" gifts, stocking stuffers and party favors, or there's plenty to share with a friend. 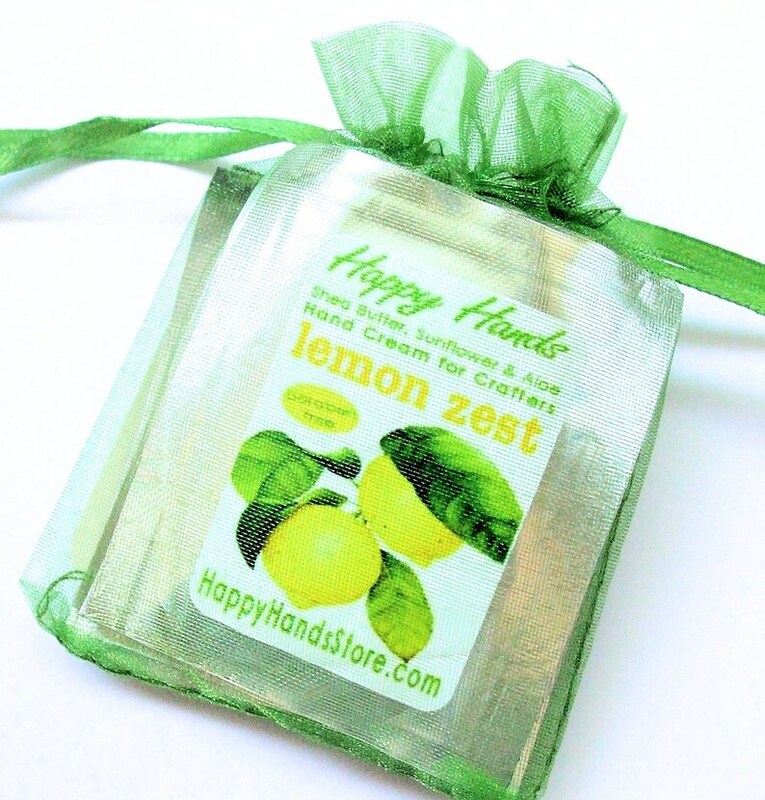 What a great way to choose your favorite Happy Hands fragrance! USA: USPS First Class with tracking, usual delivery time 3-4 business days. Orders over 1 pound automatically upgraded to Priority shipping. International: First Class International mail with tracking, usual delivery time 10-14 business days. I'll work with you to optimize the international shipping tiers. ~ The juice of the Aloe vera plant has been used for centuries to rejuvenate, heal & soothe skin. On time, always. Perfect assortment.